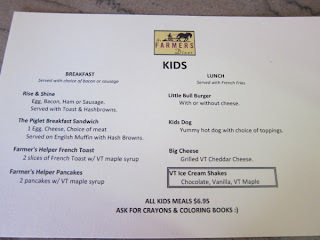 In the last couple of months, we've had to drive from NYC to New Hampshire and Vermont, and I'm pretty excited about the stops we've discovered, not far off of the highway. 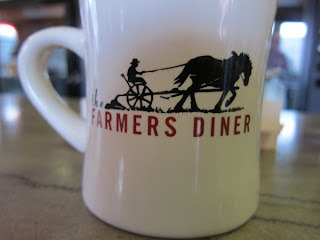 Farmer's Diner: This is just about 10 minutes off of the highway, and is a great organic-ish/local-ish place to get breakfast or lunch. 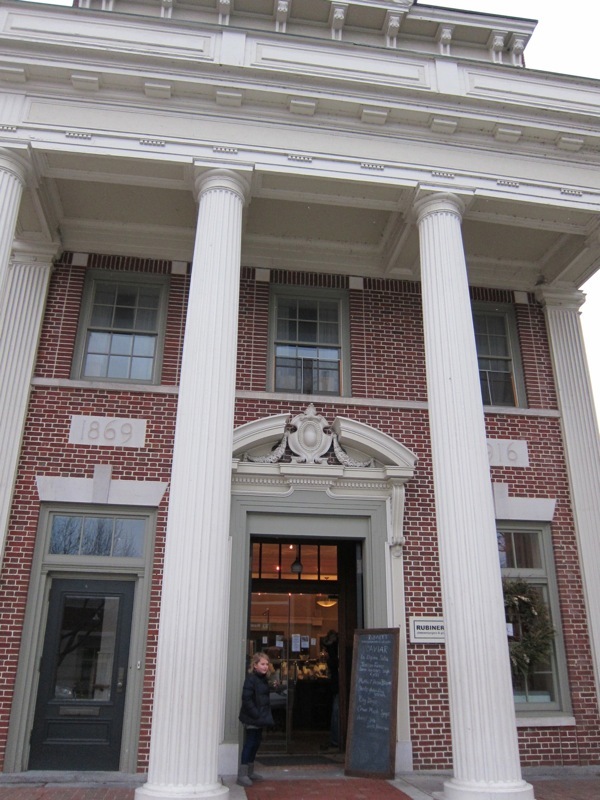 It's in a shopping center that has a good antique mall (with a toy museum in the basement), and also a place to pick up lots of local cheeses, jams, and maple syrups. 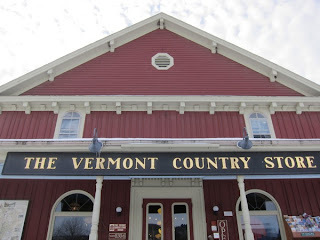 The Vermont Country Store in Rockingham: This is not the original store, which is much more charming, but this has the same products, and the same massive amount of samples for the taking. 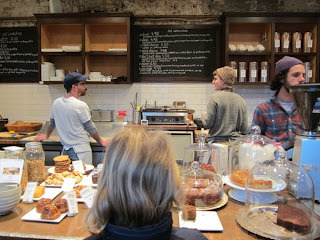 Plus delicious Vermont coffee that you can take to go. This is just 5 minutes off of I-91. 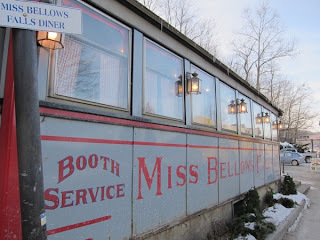 Smokin' Bowls: I know, ridiculous name...but apparently the soup is amazing. It is on the same road as the Vermont Country Store above, and is only open as a soup spot during the fall, winter and spring. I think it turns into an ice cream shop in the summer. 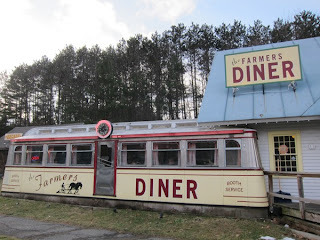 Knowlton's Kitchen: We didn't go here, but it's just across the river into North Walpole, NH, and apparently, it's a fantastic diner. Bluebonnet Diner: we didn't eat here, but the reviews look good. Real maple syrup, landmarked diner. 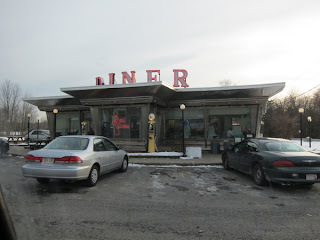 Whately Diner Fillin' Station: we did eat lunch here and the soups (clam chowder and chili) were totally homemade. The waitress was so excited about them she brought me a taste of each...I ended up getting both. It's open 24 hours and is a chrome "Princess" style diner built in 1960. Tom's Hot Dogs is in the same town, and gets big thumbs up from Roadfood. The reviews bring up a good point, that there isn't a bathroom, and if it's cold out, you'll be eating in your car, as it's take-out only. But if you're in the mood for a hot dog and great fries, it's good to know about. If you're driving up in spring or summer, the North Hadley Sugar Shack looks amazing. Maple soft-serve ice cream! Homemade donuts! 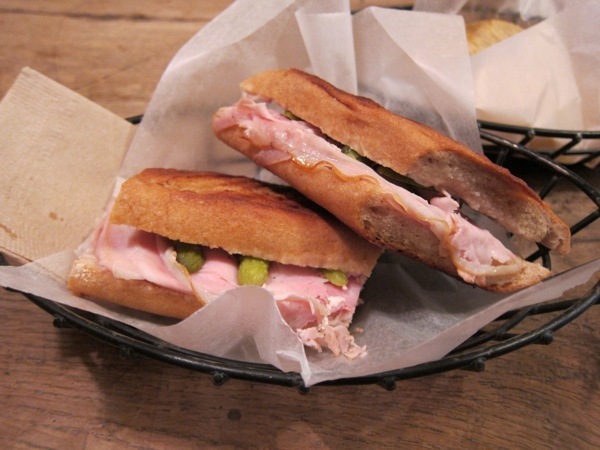 Pepe's Pizzeria is in Manchester, and isn't directly off of I-91, but looks worth the 5-10 minutes detour. 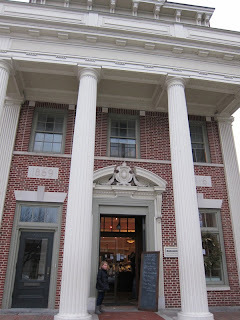 Maine Fish Market, a seafood stop in E. Windsor, CT, a half mile off the interstate. 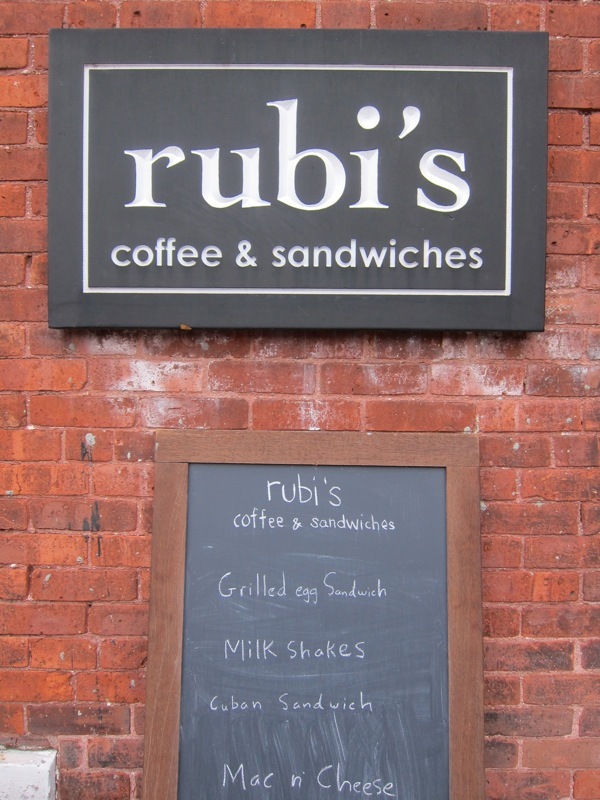 Rubiners in Great Barrington, MA...probably one of the best edited small grocery stores I've been in...and then the cafe in the back, Rubi's, is perfection. 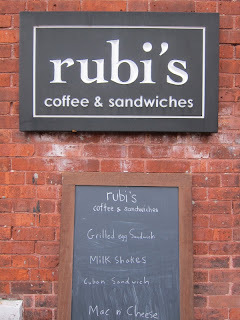 Delicious sandwiches (we loved the Reuben) and soups, and desserts. Nice blog, thank you. Do you know a place to stay the night along 91 but also has an attraction? 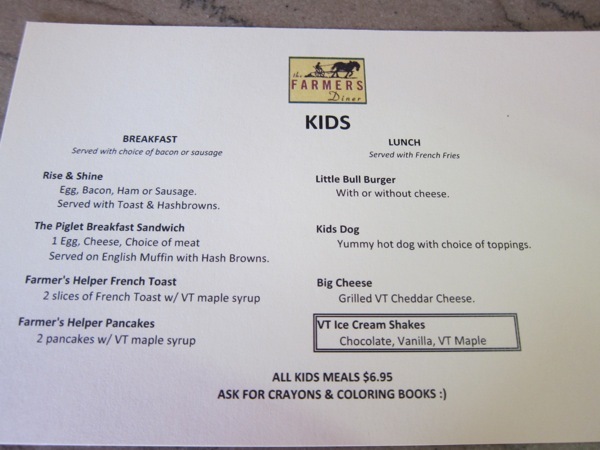 We will be coming from Maryland this July to vacation in VT.